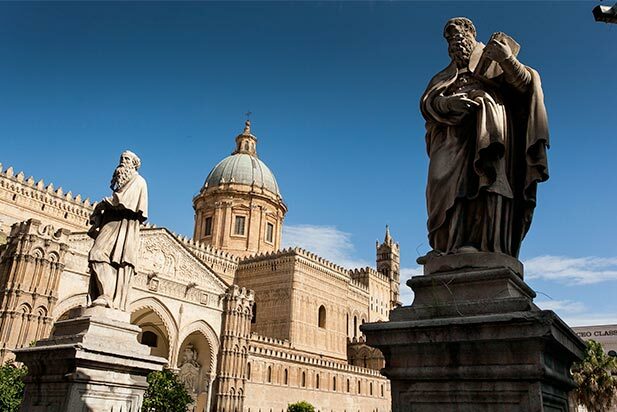 By the end of this article, you will have learned the top 12 things to do while you are in Palermo to ensure you get the most of your visit in the Belpaese. Have you ever gone on vacation, only to return home and learn about all of the fun and exciting things you could have done? I, Don Tano, do not wish that fate on any traveler coming to Palermo. This would be more annoying than dealing with mosquitoes on a hot summer night. 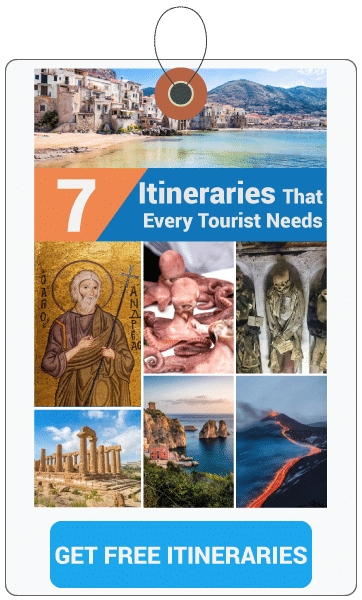 While I might not be able to prevent mosquitoes, as they seem to be especially hungry in Sicily, I can help you understand the 12 things you can do here to save time and have a blast. You can also check out the tips given by the locals as well. Accommodations in key (safe) areas. A well organized travel plan with itineraries. A rented car if you want to visit areas surrounding the city. Even still, Palermo is one of the most heavily visited cities in Italy, even without organization being a strong suit. Do not choose to improvise or figure it out as you go. I can promise you that you will end up regretting that. In light of this information, here is what you must do once you are here. The first thing that you should be thinking when you visit Palermo is taking in the sights. It is not at all by chance that we are the most conquered city in history. So now you must be wondering: how the heck to do I see all of this stuff? You do not have to, you just have to build an itinerary to make sure that you see the things and places that you really want to. Old Don Tano can help with the planning, here you can check out my free trip planner. Enjoy! There is no doubt that the food here is tasty, healthy, and unlike anything else in the entire world. It is inspired by so many cultures to become a distinctly unique and authentic experience. It has no parallel in all of the world, even within the Italian boundaries. 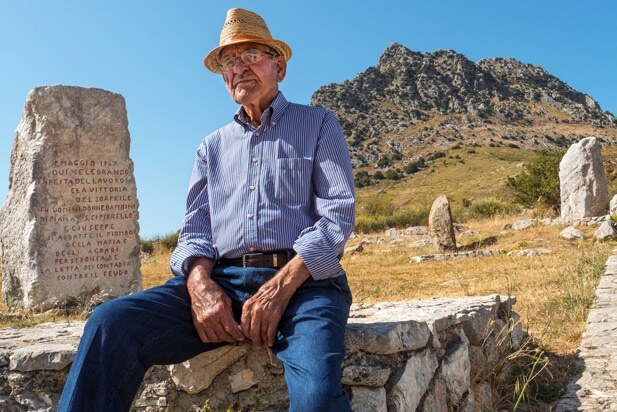 Every single former power that occupied Sicily has left a mark on the cuisine here, and you can imagine over thousands of years what kind of mark that has made. 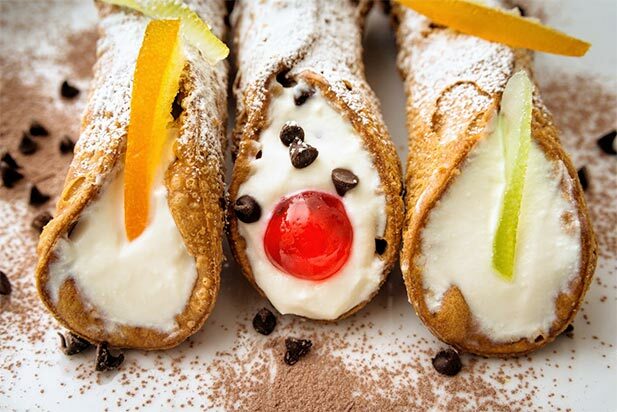 It might be tempting to gorge yourself on Cassata, Cannoli or Sfincione your entire vacation, but there is still a lot left that you should be doing. Take a look at what you should eat in Palermo. 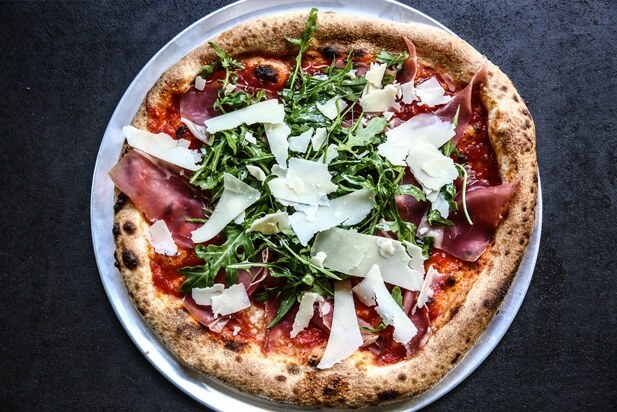 Pizza is not just a pizza, especially when you come to Italy. When you are talking about Palermo, it is even more truthful. Why? Here are two simple reasons. The first is our selection of high quality locally sourced ingredients such as tomatoes and wheat. I am not exaggerating one bit. You will also discover that Sicily is a land of unique products such as Pachino tomatoes and an ancient wheat Perciasacchi. I can assure you that a combination made with these two ingredients could convince you that you have never actually experienced a pizza before. Sfincione – between bread and pizza with tomatoes, onions, and cheese. Bagheria Sfincione – Similar to the one above but without the tomato sauce. Faccia di Vecchia – a blend of the sfincione and a pizza. 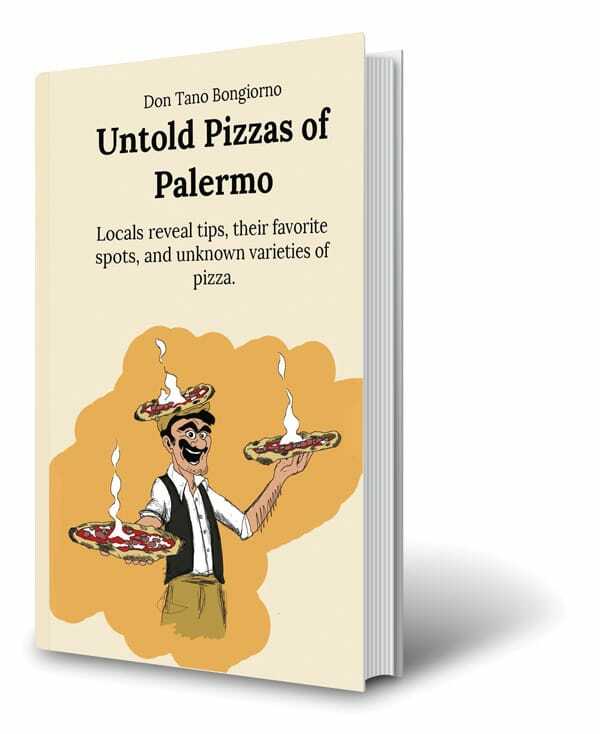 While there is a lot to say and experience about the pizza you can find in Palermo, fortunately, I have created a booklet dedicated exclusively to telling you all about it. Buon Appetito! You can find a small piece of Heaven by standing on the beaches throughout the Palermo province. You can find great beaches in all of Sicily, in fact. Every beach along the north coast greets travelers with open arms, ensuring that a day that you spend here is as entertaining as it is relaxing. It really does offer something for everyone. You see different looks throughout the coastline spanning from pebble beaches and cliffs, to warm sand squishing between your toes. 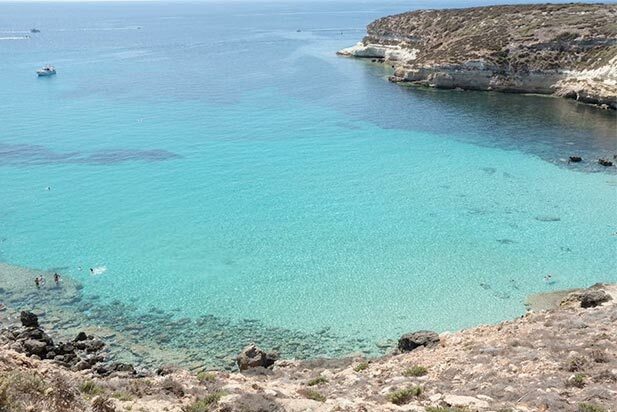 During the months starting in April through October, you can find a mild climate which welcomes you to take a dip in the sea. One who really wants to take in all of the beautiful sea can include a boat tour with a local guide as part of their essential itinerary. The nightlife here in Palermo is one that you should not ignore, as it is intense, colorful and sometimes out of control. It also has a refined side as well for those looking for a different experience. Bit it is a bit different than nightlife you might experience in other European or Italian cities. 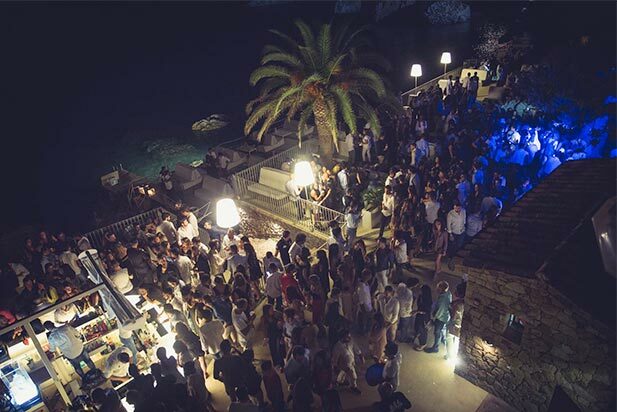 While other cities revolve around established clubs and historical spots, in Palermo, it is the people that make the nightlife something special. Pivot points are always the music, drinks and fun. The key spots, however, change like winning lottery numbers. 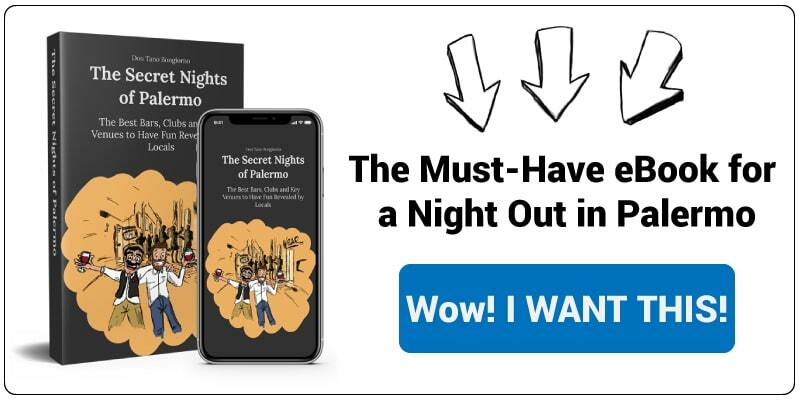 You have to know your way around, but fortunately for you, I keep an updated guide about the nightlife here to keep you in the know. For more information, you can check out the page all about the nightlife. Kids or not, the performances at Opera Dei Pupi Siciliani featuring Charlemagne and his paladins in puppet form should not be missed. I have no doubts that you will enjoy yourself. 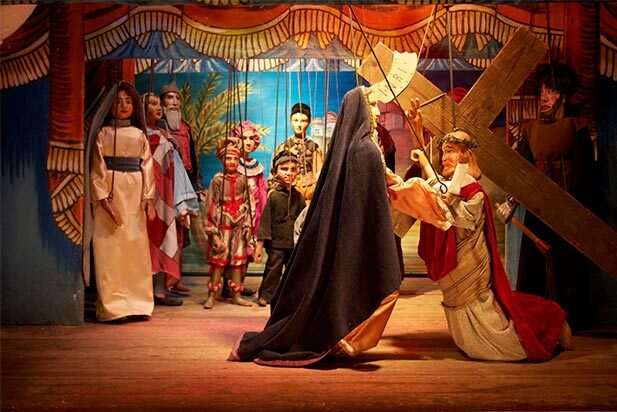 This is a unique Sicilian tradition, and even UNESCO has stated that the marionette theater is a masterpiece of the oral and intangible heritage of all humanity. I didn’t mention UNESCO as some sort of sales pitch, but rather to help you understand its historical significance brought to life in breathtaking performance. Also, it is really cheap to take in a show, so don’t miss it. Having said all of that, I invite you to attend any of the daily shows. This is especially true if you have children. Buon divertimento! If you are in Palermo, there are all kinds of places to take in a little shopping. This goes for all budgets. For those that want to spend some cash, you can find specific brand stores and boutiques throughout the city center like Gucci, Hermes, Louis Vuitton and Prada. You can check out the Sicilia Outlet Village. It is an open air luxury shopping mall featuring only luxury shops offering sale items throughout the year. I can almost hear your gasps. There are also a couple of interesting shopping malls, but you need a car in order to get there. The first is named Forum and the second is called Conca d’Oro. While they became famous for fish and meat, they sell everything here. From street food of all kinds, fruits, vegetables, and clothes (not Prada of course). Why should you go there? Not to stock up on apples and bananas, that’s for sure. You should go first for the show that these places are in themselves. They are an entire world apart from the city filled with unique inhabitants, its own rules, and ways to market items through songs and chants. Hygiene is also something that might have loose regulations here, but I guess that’s what separates a centuries old marketplace from the food court at your local mall. Second, there are the best peddlers of the world-renowned street food here in the markets. This is another excellent reason to add it into your plans. 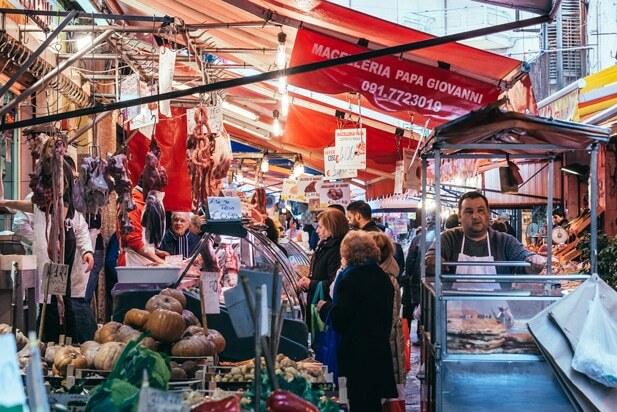 The best way to experience the markets is with a local guide. Fully inform yourself before you attempt to go at this alone. Over 12 sovereignties have not only left a mark on the marketplaces, but also the culinary arts throughout the island of Sicily. You can learn some of the secrets to this unique and alluring cuisine from local cooks. In a lesson spanning 4-6 hours, you can learn some traditional dishes, starting with shopping for fresh ingredients at the local market. Unfortunately, you will not become the Sicilian Gordon Ramsey, but its fun nonetheless. 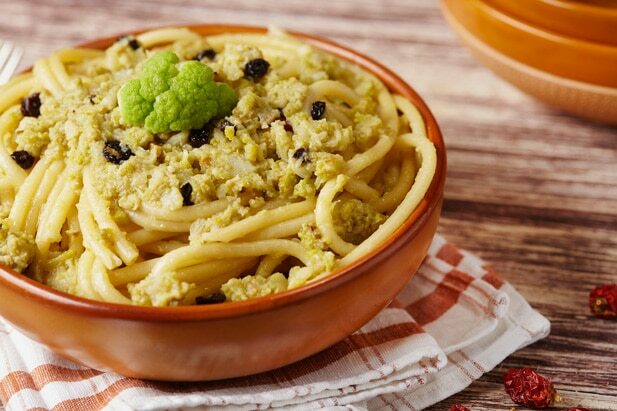 You can, however, learn some useful secrets you can apply into your everyday dishes and have a handle on some classic Sicilian culinary marvels. At the end of the lesson, you get to eat the dishes you prepare. Yum. Check out this link for more information. 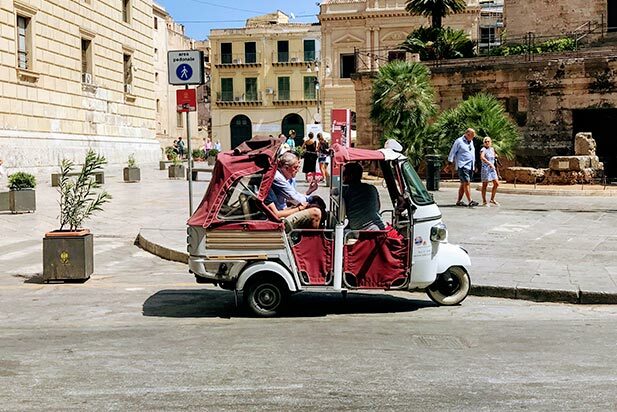 We Sicilians are creative when it comes to getting around the city. You might find that traveling via scooter or ape is a unique and breathtaking way to take in the city. They allow you to explore every corner and experience the full sensory impact due to the smaller sizes of these vehicles. Well, the initiative and exceptional resourcefulness of the drivers here should help out there too. Another popular method of travel is horse-drawn carriages. Despite this being a 200-year-old tradition in the city, I would advise against this. The drivers are not exactly animal lovers, and on top of that, the tour is pretty expensive. Entirely up to you though. 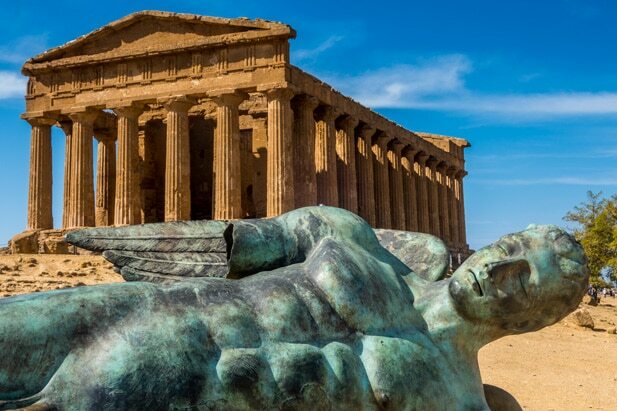 Sicily is the largest of the Mediterranean islands, the region most conquered in history. It has beautiful landscapes, beaches, and scenic vistas you would expect were photoshopped on film. Palermo is but a step towards your journey throughout the entire island. Corleone – Known as the village of mobsters. Cefalu – A small seaside village. Segesta – Historical site of Greek temples. When it comes to exploring outside of Palermo, you should rent a car unless you choose to take advantage of guided tours with pick up and drop off services included. Another site that you should consider is the Etna volcano if you like to have an adventure along with your vacation. This volcano is still active, which means that you should realize exploring on your own is impossible, but there are many local tours. You can check their availability here. Sicilians might seem like other Italians, but we are a bit atypical. Perhaps a better word for that is bipolar. It seems like we only got the extreme parts of the cultures that inspired the evolution of Palermo over the past centuries. The contradictions of the Sicilian people are evident throughout the city. We might be generous and easy going, but we are also the same people that created the Mafia (Cosa Nostra). They all have cunning charm and style, but have the potential to dirty the city like it was the middle ages. These examples could be continued, but I think you get the point. Facebook and Couchsurfing.com – dozens of groups here. You will never forget your interactions with the locals here, that is for certain. If you have managed to do all of the things on the list above while you were here on your vacation, you can certainly return home satisfied that you didn’t miss out. But you have probably noticed that the things to do outnumber the time you have to do them, so planning is critical to a perfect vacation. Planning can be a daunting task, however. Worry not, Don Tano is here to help! Let me create an itinerary based on your needs. You just have to answer a couple of simple and easy questions, so I can send a custom travel plan directly to your email. It really is that simple: Create your plan now. If you have any questions or concerns about a trip you might be planning, check out the tourist information page to see if your question has already been answered. You can also drop a comment in the box below here and let me help you find the answer to that question.